Since their inception in the early 2000s, HDMI cables have significantly improved how we transmit uncompressed video data. But, the most significant disadvantage of this transmission interface is the fact that it is a cabled medium. As such, it can be a hustle to carry around long HDMI cables especially when trying to set up audio-visual equipment over long distances. 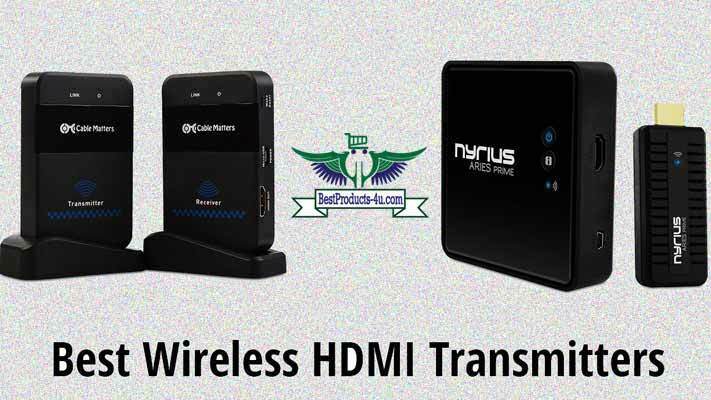 StarTech is one brand that has addressed this problem through their wireless HDMI transmitter. This nifty gadget offers a wide assortment of impressive features that will make your life easier. We’ll cover what it has to offer along with the product’s pros and cons in this StarTech HDMI over wireless extender review to help you make an informed buying decision. Read on to learn more. Are you tired of tripping over long HDMI cables or the hustle of trying to keep them out of the way with HDMI splitters? Well, this product from StarTech eliminates the need for cabled HDMI cords. Therefore, you will have a tangle-free environment to set up your equipment. With a frequency range of 5.1 -5.9GHz, you can transmit your HDMI signal from source to remote display over a distance of up to 50metres (165- feet). This gadget can even extend infrared signals, allowing you to operate your video source remotely. When it comes to preventing tapping of digital audio and video data during transmission, this StarTech wireless HDMI transmitter does not disappoint. It complies with HDCP (High-bandwidth Digital Content Protection) standards by encrypting your data using a 128 bit AES key as it travels across connections. The best part is that data remains uncompressed so that video quality does not degrade. As a result, the transmitter is capable of sending HDMI signals with resolutions of up to 1080p. Boasting of less than 0.1sec in video rendering latency, this wireless HDMI transmitter causes no lag/pixel distortion, making it ideal for video gaming and applications that require fast responsiveness on touch screen interfaces. instructions to help you get started. One of the best features of the StarTech HDMI over wireless extender is its simple operation. This plug n play device does not require any installation of drivers or any other sophisticated software configurations. You will need access to wall socket since both transmitter and receiver use separate power cords. 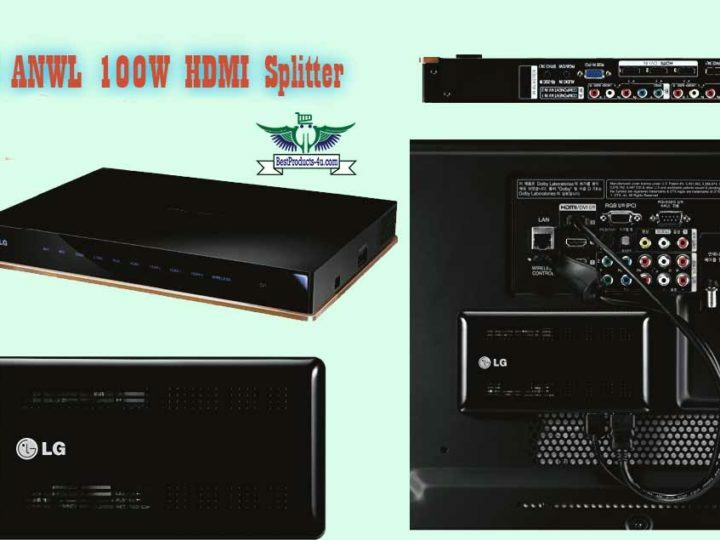 Once powered up, connect the transmitter using an HDMI cable to a video source (such as your TV set-top box, DVD player or console) and hook the receiver box to the display device (like a monitor, projector, TV screen, etc). Once there is an active video signal, and a connection established between the two connected appliances, the LED lights in front of each box will light up. No support for daisy chain connectivity, which means you cannot transmit HDMI signal to multiple receivers. Both receiver and transmitter have to be connected to mains power supply. 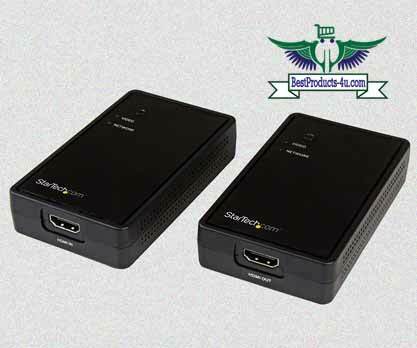 The StarTech HDMI over wireless extender is a fantastic gadget for PC use and supports any operating system. It comes in handy when you need to transmit your HDMI signal to a single output display. It’s an excellent solution for trade-show, storefront, and lobby screens or simply showcasing presentations via a projector during boardroom meetings. Ultimately, this device is worth buying if you are looking for sheer convenience when it comes to extending HDMI signal range. 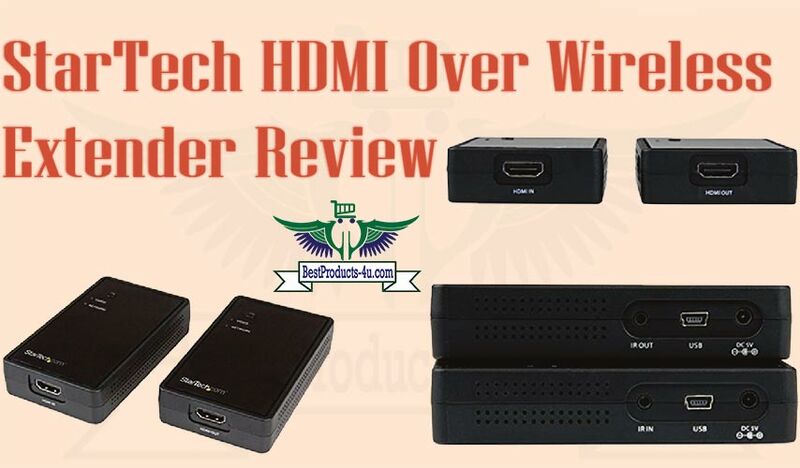 startech-hdmi-over-wireless-extender-review	Overall rating:	5	out of 5 based on 1	reviews.